These are some of my most used and favorite DIY and crafting products. I use these things all of the time and would recommend all of them to you. I don’t always buy the latest and greatest. I have never had the funding to do that but when I do purchase something you better believe that I love it. I have included affiliate links for your convenience. 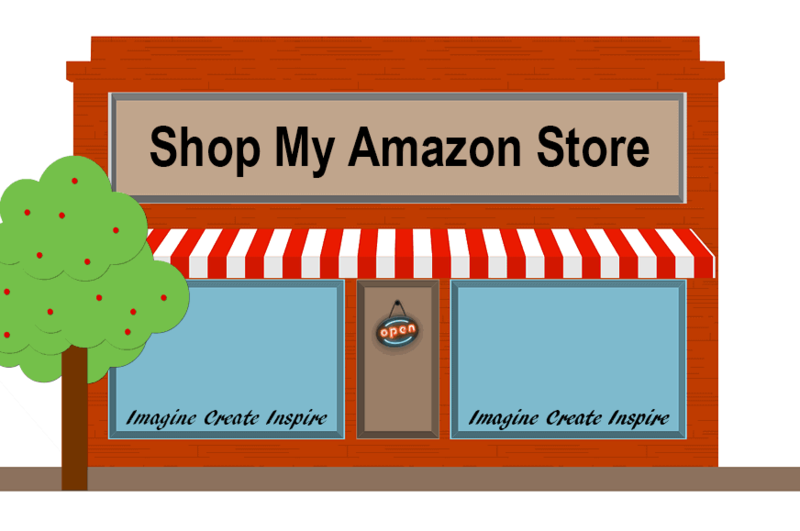 This means that if you click on a link and make a purchase I will receive a small commission at no extra cost to you. This helps me a out a lot as it keeps my blog going and I appreciate it very much. This is the exact purchase I made back in December 2015. I love this machine and use it quite often. 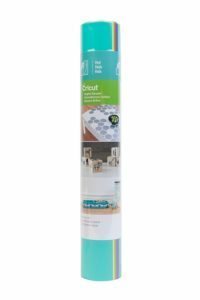 If you are a diy’er or crafter you will love a cutting machine. There is a newer model that is wireless and if your desk is in an area where you don’t have plug in access you make like that better. You can find it here! It is amazing and has many more features than my machine for not much more money. But, if cost is an issue as it was for me then this option is perfect. I have used it to make my own stencils on many projects such as these First Home Coordinates Pillows, Irish Blessing Table, Game Table and my made over Sofa Table. I also use it just to cut out shapes. Circles are the biggest thing for me. I could never cut out a circle by hand and with the Silhouette you can get any size you want. I love that. I used the circle option on these Shopping Day Survival Kits. Another big selling point for me was the fact that I can use any font on my computer. My previous machine, the older Cricut, did not have this option. I had to use their cartridges so I was limited to their fonts. Since I can use my own fonts I have had a lot of design options that I didn’t have before. 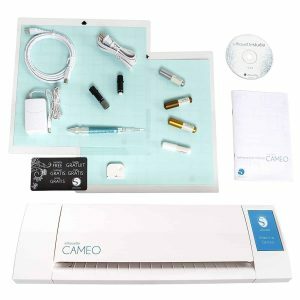 I really feel a cutting machine is a must if you are a scrapbooker, diy’er or crafter. It saves time and money and gives you so many more design options. I got mine on Amazon and was so glad I took the plunge and got it because I absolutely love it! You can see all of my Silhouette projects here. You can also get heat transfer vinyl which I have not tried yet but would be perfect for t-shirts or baby onesies. I use the vinyl all of the time to create stencils and wall words. This farmhouse kitchen sign and the wall word “Gather” is one of my favorites and I also used it recently to add stenciled numbers to a DIY cat bed. This is my favorite program for all of my photo editing and designing. 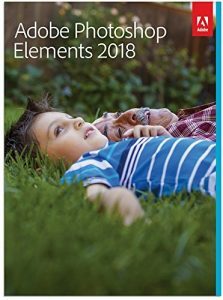 All of the photos on this blog have been edited with an Elements program. Recently I jumped from 8 to 15. One of the changes I love about 15 is the ability to create text on a curve. That was only available in Photoshop before. It has helped me design all of my T-shirts, Journals and Notebooks, Project Life Scrapbook designs, Wedding Designs and printables. I call this program the “watered down” version of Photoshop which I have but never use because this one is so nice. The first class and book I purchased to learn this program (back when I used version 3) was from Patty Debowski at The Digital Scrapbook Teacher. I LOVE her book and still reference it to this day. 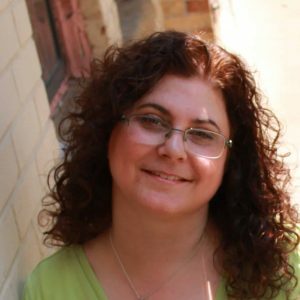 I also took some online classes from Jessica Sprague which were super helpful. I love learning from online videos. This is not an affiliate link but I love her classes. Many of her classes include a choice for Photoshop or Photoshop Elements. There is a bit of a learning curve for most of the Adobe products but once you get the hang of them you will really love them. It really is my “go to” program now and I don’t know what I would do without it. Now I am learning to use the video editing program Photoshop Elements Premiere and I think I am liking it a lot too. 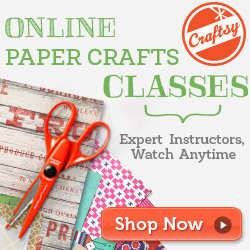 Craftsy has a lot of classes including the paper crafts classes. One of my favorites is the Photography class I took. There are a lot to choose from and they go on sale for $19.99 quite often so wait for the good sale and sign up. The best thing about these classes are that you can take them on your own time at your own pace. Some of the choices of classes that I love are sewing classes such as slipcovers, duvet covers and window coverings, baking and decorating classes for cupcakes, cookies and jewelry Workshops. You really need to go to the site and just browse all of the classes. I am sure you will find something you are interested in learning and who doesn’t love to learn new skills? I know I do. I think these classes are great gifts. As I get older it is always hard to find a gift for my friends and family. This would be a fun surprise for anyone. This is my favorite, favorite painting tool. The finish is always great and I can finish painting in less than half of the time. I now have three of these sprayers. I know but I really do use them and if I am painting two colors or more than one project at a time I have found that more than one comes in handy. Plus I like to let my friends us them from time to time. Sometimes you want to try before you buy…right? It is a dream for large projects such as this headboard/footboard and when you are painting chairs or tables that have fancy legs like my ottomans you don’t have to worry about weird brush strokes showing. 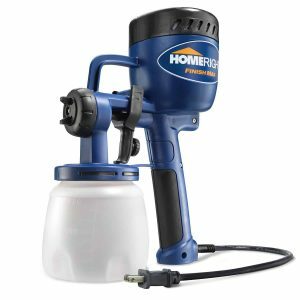 You do have to clean it when you are done for the day and I usually clean the nozzle between coats of paint so it doesn’t clog up but other than that it is the best tool I have right now and would never go back to brush painting on furniture again! This is one of these products that I could utilize a lot more than I do. It does all sorts of things such as setting eyelets and grommets but I only use it to punch holes. I love this thing for punching holes. It has a 6″ reach so you can punch in the middle of a 12″ piece of paper, it punches through multiple pieces of paper/card stock at once and it cuts through thin metal, tin and chipboard. 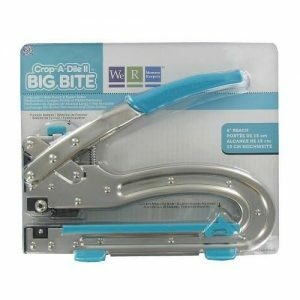 I always grab this as my hole punch instead of a regular one and I am really not sure why. I just love it and use it often. Every year in July Amazon holds an event called Prime Day. They have excellent deals all day long and you can only take advantage of these deals if you are a Prime Member. Prime Now – available in 32 metropolitan areas in the U.S. Two-hour delivery is free (for Prime members) with orders totaling $35 or more. This is only available with certain items. Mainly perishable items such as groceries. Prime Reading program – this offers an all-you-can-read eBook library that includes books, magazines, and comics. Twitch Prime – if you are a gamer this program offers ad-free access to Twitch’s gaming service. And much more. You can sign up for free 30-day trial of Amazon Prime by clicking on the banner before.